La Real Botica de la Reina Madre is what you should visit after tasty meals at this restaurant. Mediterranean and Spanish dishes are to be tasted here. It's time to try mouthwatering fish tapas, jamon serrano and seafood paella. 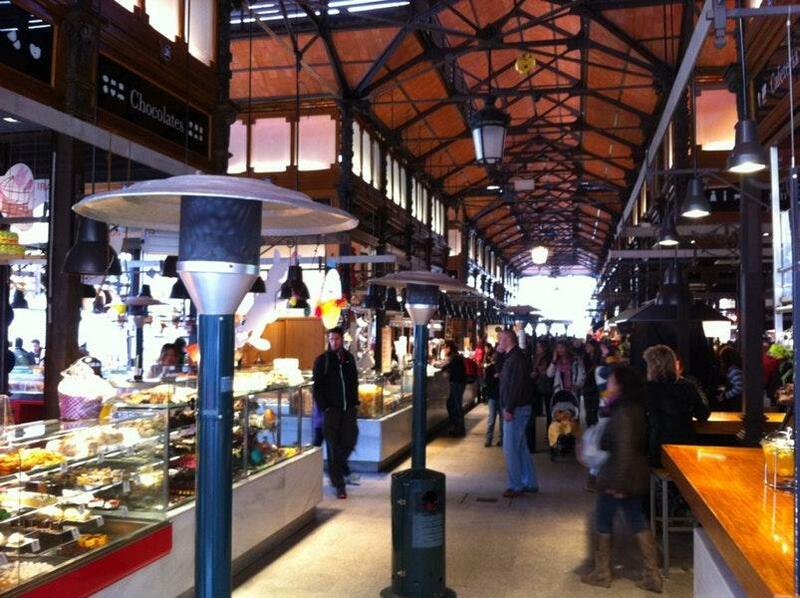 Offering tasty gelato, frozen yogurt and churros is the feature of Mercado De San Miguel. Delicious white sangria, Spanish wine or beer are worth trying here. You will enjoy great cortado, fruit smoothies or fresh juices at this place. The great location of this spot makes it easy to reach by any transport. The professional service and the accommodating staff are its big advantages. You will like attractive prices. The nice facade and peaceful atmosphere let clients feel relaxed here. TripAdvisor users marked this restaurant with 4 stars, you can check it out. 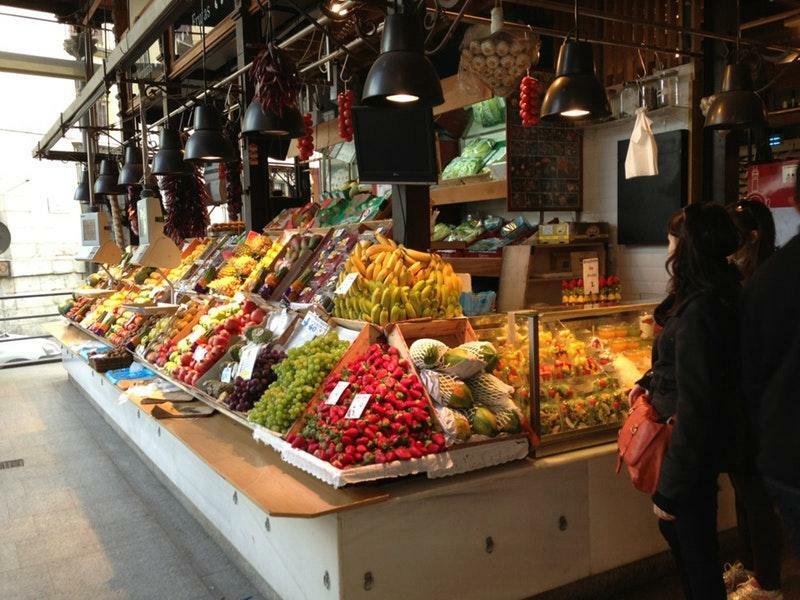 Amazing place to explore the culinary offerings of Spain. It's like a very upscale Reading Market in Philadelphia or L.A.'s Grand Central Market. We were there on a late Monday afternoon and it was crowded, but I bet that it was their slow time. We tried so many different vendors and were impressed with the food and presentations. We had Iberian ham and veggie wraps, petite brioche rolls filled with pastrami, salmon tartare, olives and anchovies skewers, mozzarellas, churros with chocolate, etc. For drinks we had fresh pressed juices that is sold by the main entrance and red and white sangria from the vendor who sells all kinds of olive skewers and tapas. All was delicious. Prices are on the high end, but you get good quality food and the vibes are unbeatable. A lot of overpriced food stalls in one building. It feels like a food court in here. There is a lot of variety of food offered under one roof and they do give out free samples for you to try what they are selling. However, you could probably get something just as delicious or what more tasty outside here for way cheaper. More like a tourist trap. I had the savoury crepes for 8.50 Euro but just outside a 5 min walk away I found a local restaurant selling savoury crepes for 6 Euro. But this is a place you definitely need to walk through to just experience the market. This is an amazing place with everything from Vino Rioja to chocolate. Tapas abound; take away is encouraged. When we arrived in Madrid we were famished and our flat is across the street and down a bit. We walked in, got cheeses and olives, a bottle of wine and wandered home to kick off our shoes and relax. 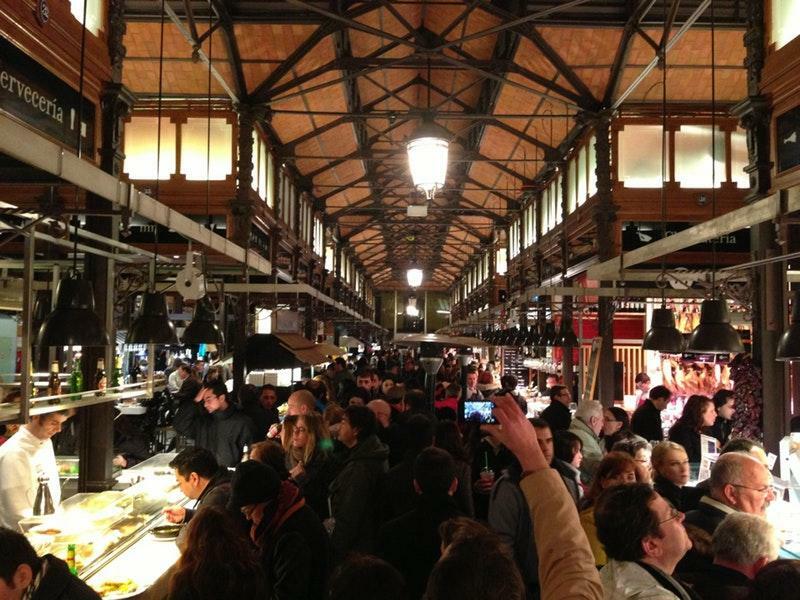 If we'd been more ambitious, we would have stayed and enjoyed the vibrant ambience of this bustling Mercado. Be sure to go at least once while in Madrid. You won't regret it!